Running in Jamaica. The best places to run in Jamaica. 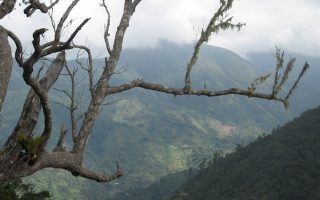 The Caribbean country of Jamaica is the third largest island in the Greater Antilles, next to its neighbors Cuba and Hispaniola. 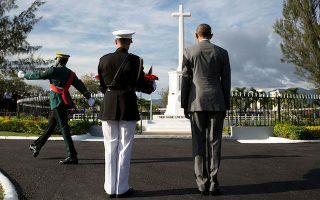 After a tumultuous history of Spanish and English rule, Jamaica won its independence in 1962. This wonderfully diverse country boasts a rich culture of reggae music, delectable foods, and world class athletes, including Olympic champion runner Usain Bolt (run the track he trained at the University of the West Indies). It’s no wonder that Jamaica’s white sand beaches, tropical forests, and vibrant people attract record numbers of tourists each year. For any of those travelers who run, there is great running in Jamaica’s resort strips, beaches, parks, and trails. 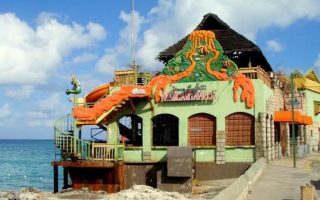 Most visitors will stay in resort areas such as Montego Bay, Negril, or Ocho Rios. Here, you can find paved ways on The Hip Strip, The Elegant Corridor, the One Love Path, or Norman Manley Boulevard. 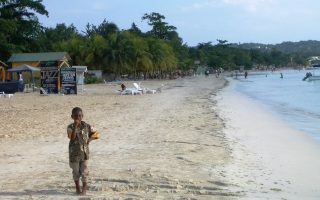 The best beach running is on Seven Mile Beach in Negril. 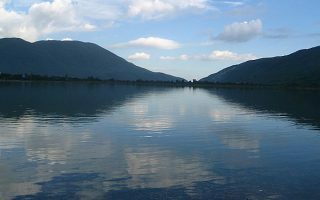 Kingston city also had a number of running routes, including popular loops at the Mona Reservoir Dam and Emancipation Park. For more remote options, head to off-road running in Treasure Beach or any of Jamaica’s Blue Mountain trails. Wherever you run, remember that the climate in Jamaica is HOT. Most runners prefer to set out early in the morning with proper hydration and sun protection. The tourism board also recommends running in groups for safety. If you plan on visiting more than one location in Jamaica, a car (rental or taxi) is the primary way to get around. The island is large, and destinations are widespread. Buses are also prevalent in major cities, but some travelers find them unreliable and difficult to navigate. We’ve tried to gear our running guide to the most popular destinations on the island, so it’s easy to find a run near you. Run the commercial/resort area along Gloucester Ave, a 2.6 km sidewalk past restaurants, galleries, and shops of Montego Bay. The "Elegant Corridor” is a coastal area east of the airport home to numerous resorts and golf courses. There's decent running on the lit sidewalk along the main A1 road for nearly 8 km, from Ironshore to near the Rose Hall Great House. 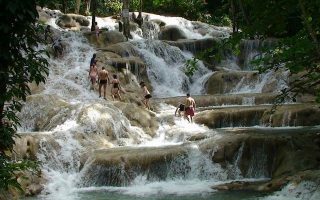 The “One Love Trail” in Ocho Rios is a paved seaside walkway with great views, stretching 4.9 km from the cruise ship pier to beautiful Dunn’s River Falls. A great 10k out and back and one of the prettiest runs on the island. 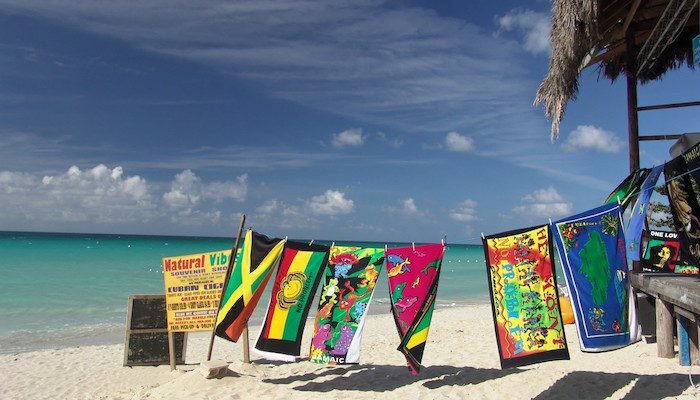 The best bet for a long beach run in Jamaica. Though the sand is soft and sugary, many runners use the Seven Mile Beach to log distance. An alternative is the walking/cyling lane along Norman Manley Boulevard. The “Holy Grail” of running in Kingston. A hard dirt path of 2.6 km loops around this dark green reservoir, with views of Kingston city and the Blue Mountains as a backdrop. As an add-on, run the Usain Bolt Track at the Univ. of the West Indies. This beautiful park in downtown Kingston has a designated 500 meter paved jogging track lined with lawns, trees, and gardens. 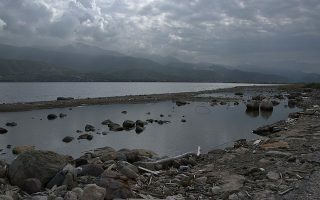 Run segments of the famous Jake’s Off-Road Triathlon in Jamaica’s pastoral south coast town of Treasure Beach. Options include a 7.5 km out and back to Great Bay, or an 11 km loop heading out to the base of Big Groun’ hill. 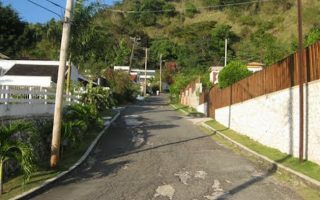 A stone-paved walkway along the spit of land between the Harbour View neighborhood and Port Royal makes for a nice run, with great views of Bull Bay to the south and Kingston Harbour to the north. 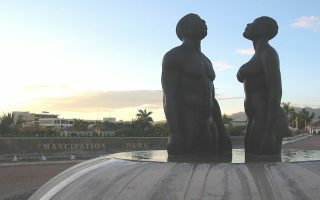 A small park in Kingston, the National Heroes Circle is a good place to run laps while learning about the country’s history and culture. A good spot for some hill training, Kingston’s Mountain Spring Drive is a dead-end road with little traffic and great views. A rise of 191m with grades up to 18%! Our guide to the best non-technical trail running spots in Jamaica, including the Mount Zion Trail, Oatley Mountain and Holywell Park, and Catherine's Peak. 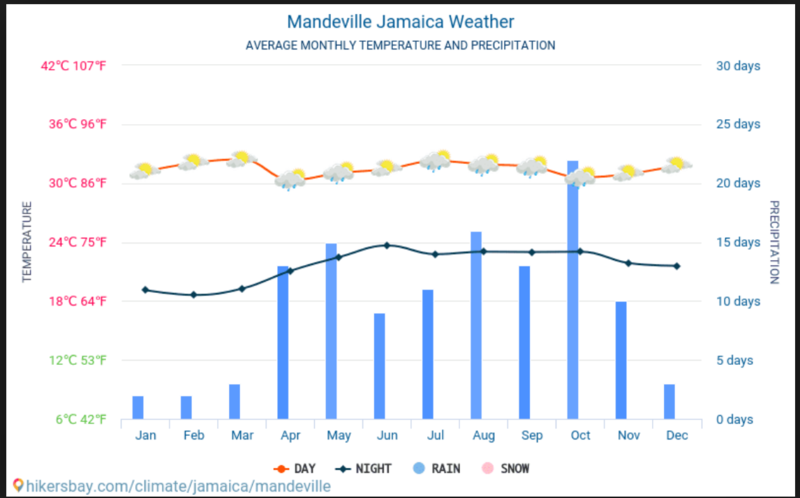 Runners should plan for Jamaica’s considerably hot and humid weather. Average high temperatures are in the 30-33C range (86-92F), and lows rarely dip below 21C (70F). Precipitation is fairly abundant throughout the year, often through daily thunderstorms. April through October tend to be drier. Most visitors to Jamaica will stay in Montego Bay, Ocho Rios, Negris, or Kingston. There’s a large number of large, all-inclusive resorts, some of which have their own private paths or beachfront that can be used for running. Runners should try to stay somewhere in relative proximity to one of our routes, especially if they don’t have a car. 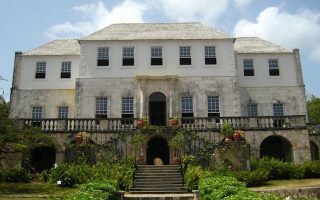 See VisitJamaica.com for places to stay. Most running groups in Jamaica are centered in Kingston, such as the Jamdammers, the Pacers Running Club, Go Run Jamaica, and We Got the Runs.See the overview map on the Jamaica home page for locations and details. There are few independent running stores. 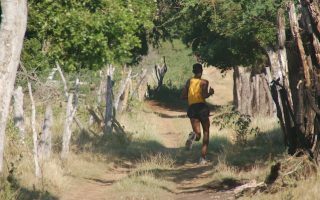 Jamaica is home to several great races, including the popular Reggae Marathon/Half Marathon/10k, Jake’s Off-Road Triathlon, the Kingston City Run, and the Tru Juice Cross Country 5k. For more races, see Running Events Jamaica.